United Cutlery - Edge Colombian Sawback Machete with Black Injected Molded Handles. Model: UC8008. 24 overall. 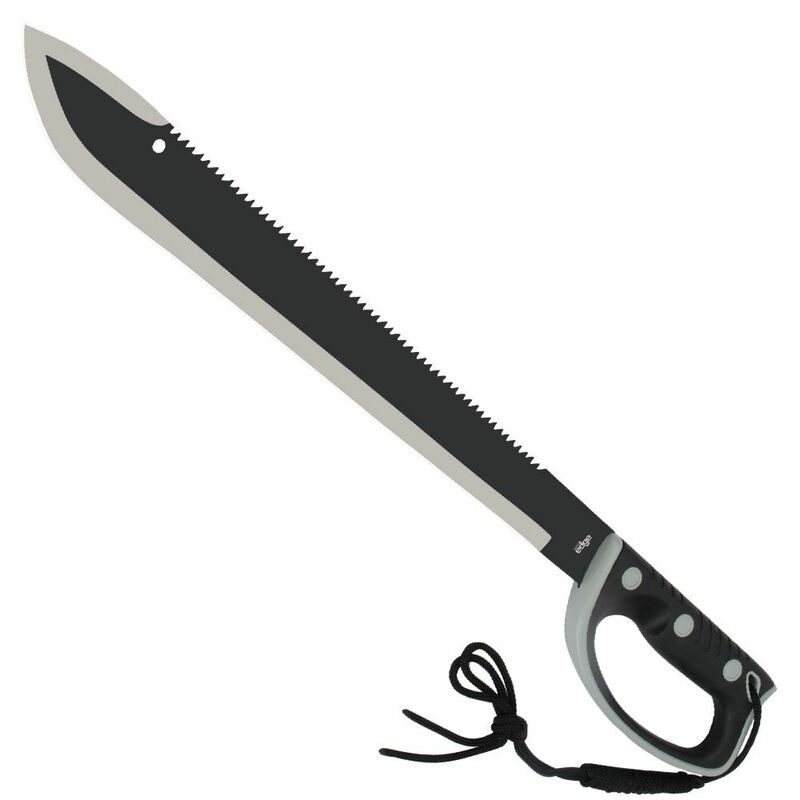 18" 420 stainless sawback blade with black finish. Full tang. 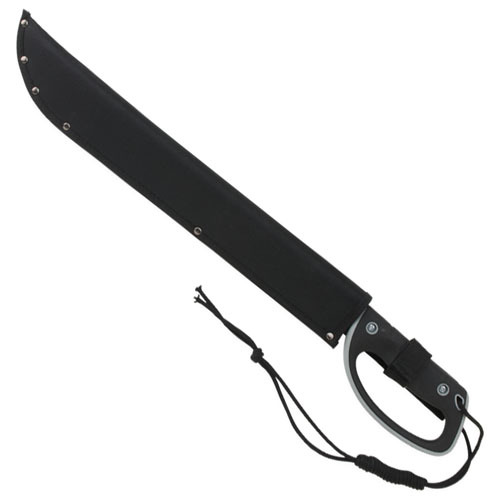 Black injecton molded handle with integrated hand guard. Looped cord wrist lanyard. Black injection molded nylon belt sheath.